Unsurprisingly, mid lane remains the favorite. The numbers are officially in, and it seems that the collective League of Legends player base has deemed bot lane playable once again. 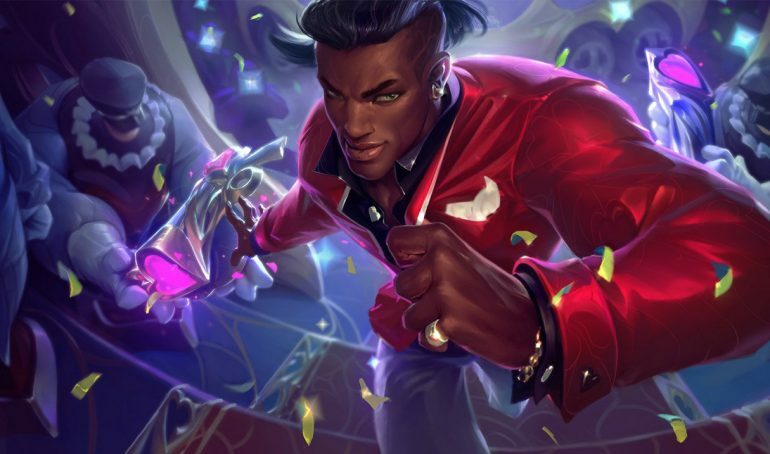 In the most recent Quick Gameplay Thoughts, Riot Games staffer Andrei “Meddler” Van Roon reviewed the role preferences for each region across all MMRs over the past year. Preferences, specifically for bot lane, have fluctuated immensely as crit items have seen changes throughout the past season. Crit items took a hit in season eight, but Riot showed mercy on marksmen in Patch 9.3, introducing a few buffs to crit items and their stats to help bring back some power to the lane. 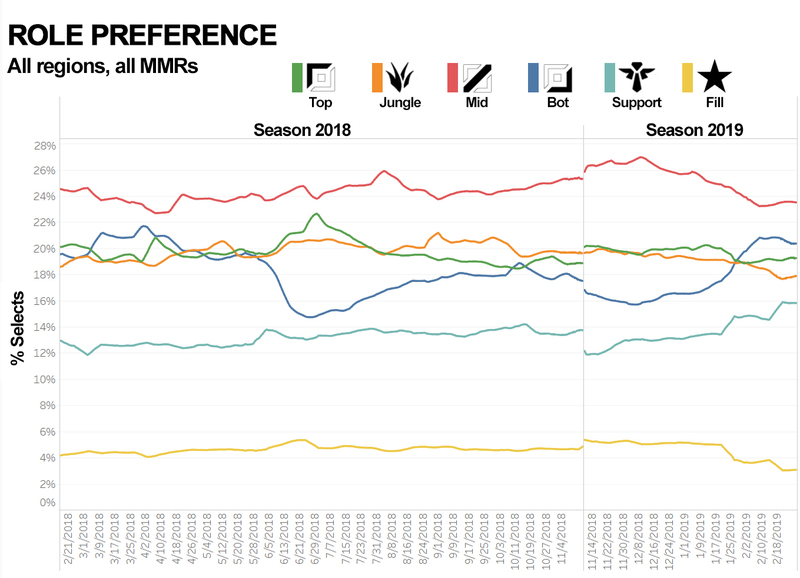 Since the early beginnings of season nine, bot lane has jumped up from the fourth favorite role, surpassing both jungle and top lane to become the second most preferred role across all regions regardless of MMR. In both Korea and North America, bot lane even briefly stole the No. 1 spot from the mid lane before returning to second place. Following the changes to crit items in season eight, where bot lane drastically fell in popularity, jungle and top lane have been in close contention, often intertwining with one another in the race to secure second place. Depending on the region and the rank, however, this isn’t always the case. 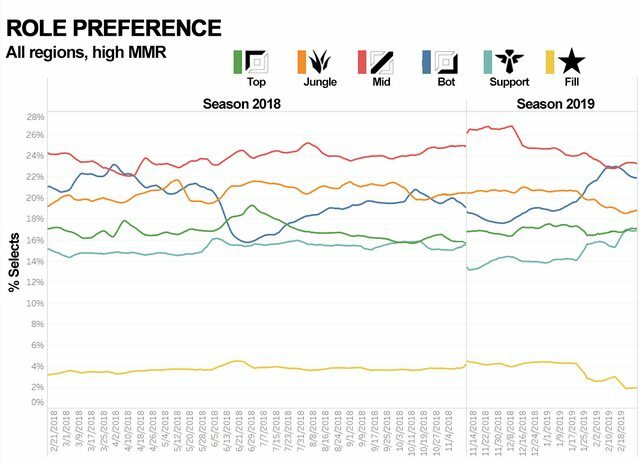 At higher MMRs across all regions, top lane lingers around the bottom of the chart, even falling to support in some cases. Likewise, the Brazilian region seems to favor both jungle and mid lane over the top lane role, which, again, falls toward the bottom of the chart with support. It’s been six weeks since the crit changes went into place, but the charts show the role has remained favorable since the patch’s release. With the ever-changing state of the game—and of the role, for that matter—it’s still too early to say whether bot lane will remain in this sweet spot for much longer, although one can only hope.